We woke up to a cold Christmas morn. It was not foggy but the prospects of a bright day looked dim. The Sun had risen and the pale rays falling on the Jamun tree were imperceptible unlike other days when the rays give leaves a golden hue and reflects from the glasses of the windows in the building across. Children looked dull and slothful. Being a holiday, we decided to go out to a village close to the hills. 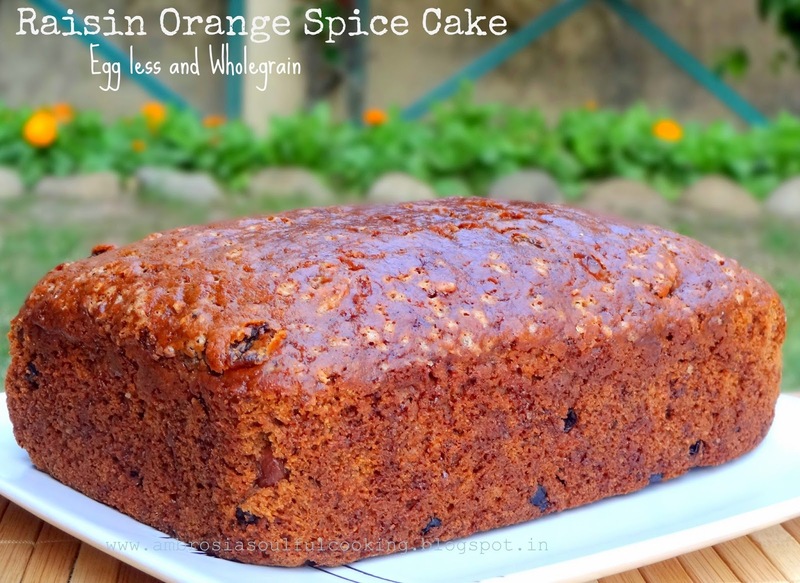 The plan infused energy and enthusiasm and in no time food and juices were packed along with a Raisin Orange Spice Cake made for the day. Countryside was bright and sunny. 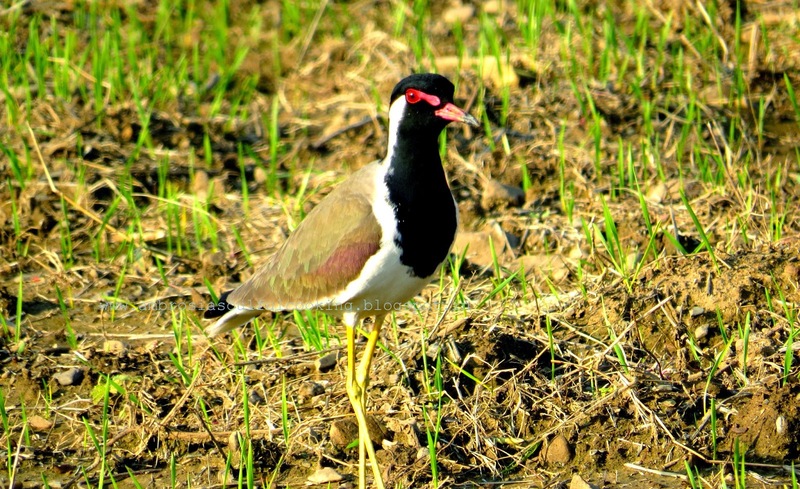 The fields were freshly tilled and there were groups of Lapwings, Drongos, and Mynas feasting on worms. There were miles of empty stretches of tilled fields. Kids loved running on the uneven fields and falling on the soft mud. 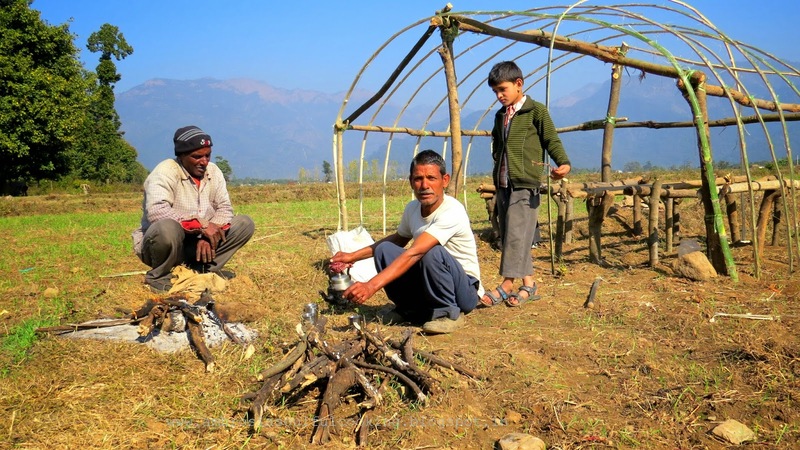 We met villagers making a hut in the fields. They told us a lot about the birds, animals and local lore. They made tea and we shared cake. It was the best tea we ever had….smoked infused and sweet. It was late afternoon but we waited for the peacocks that we were told come out and forage on the seeds. It started getting cold as the heat of the Sun waned. 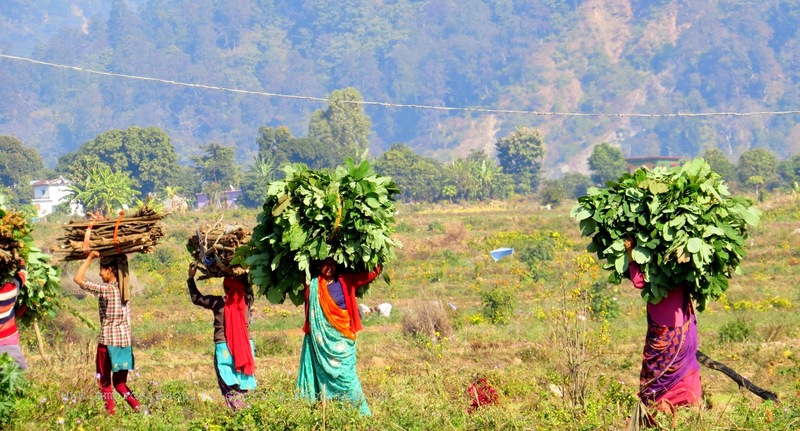 Womenfolk carrying fodder for animals from the forest started returning. We decided to move. Some movement in the lemon grass thicket caught our attention and lo! 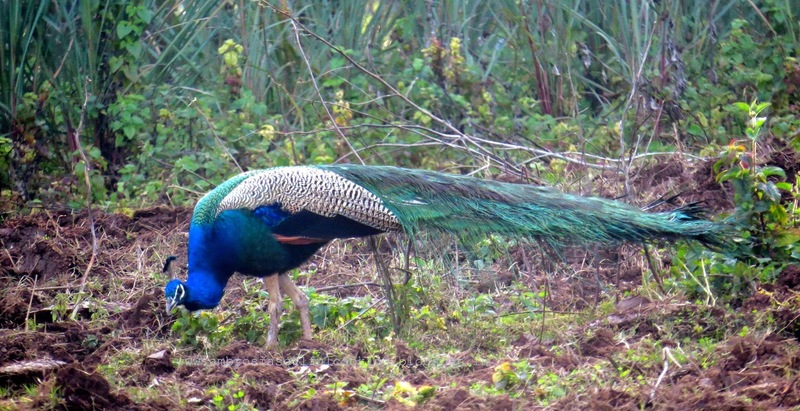 A peacock emerged followed by two more. 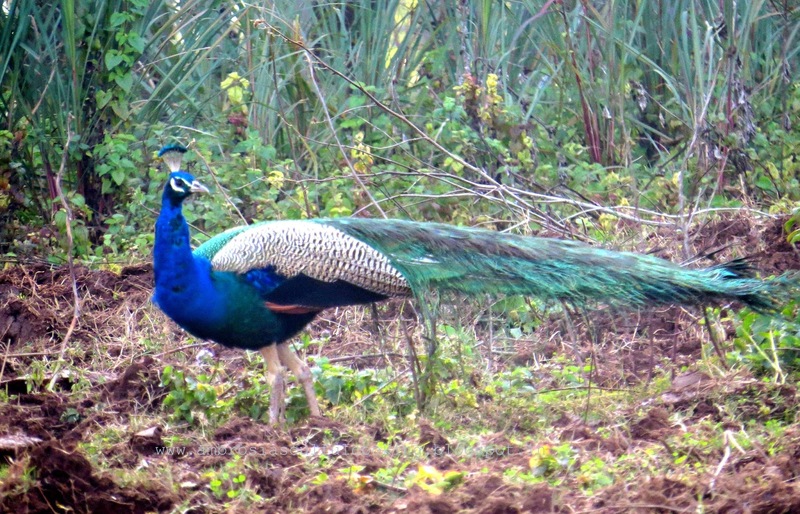 Kids squealed with happiness and the majestic birds sensed our presence and scurried back into the forest. But our day was made! Preheat oven to 180 degrees C. Grease and line the bottom and sides of one 8x5 ½ inch cake pan. Whisk together first nine ingredients in a large bowl. Keep aside. Take 1 ¼ cup water in a steel wok. Add raisins and bring to a boil. Lower the heat and let simmer for 15 minutes or till the raisins become tender. Turn off the heat. Add butter. Cool the mixture until warm. Add flour mix into the warm mixture in three parts. Add a little orange juice every time you add flour mix. Add more juice only if the batter feels dry. Pour the batter into the prepared pan. Bake for 40 -45 minutes or until a toothpick inserted in the center comes out clean. Tent the top with a foil if the top is browning fast. Remove from the oven and remove from the pan after 10 minutes. Cool in the rack. Slice next day. Perfect cake and lovely clicks..First time here but I am so glad that I have found your page. 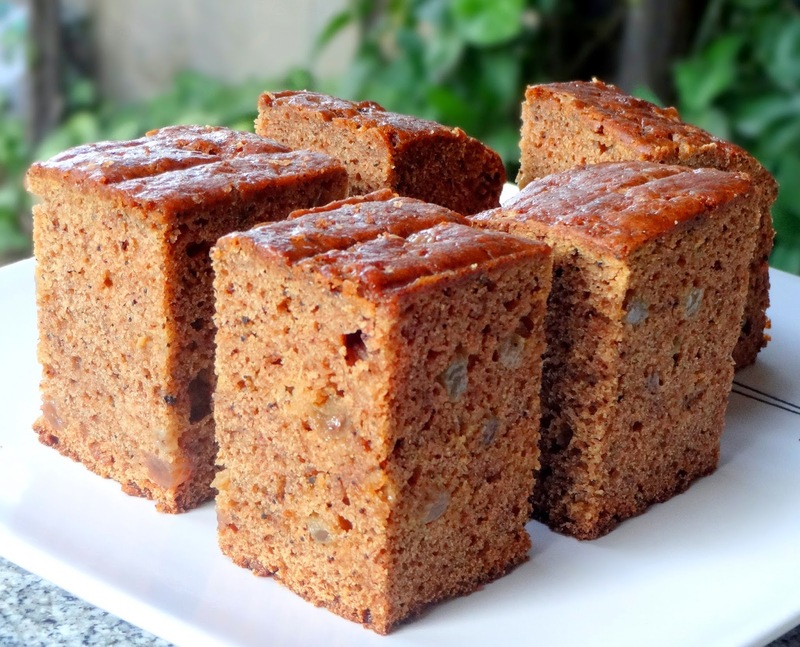 Can I replace raisins with dates? Sure. Dates would also taste great. Thanks for trying out the recipe!